Clip As You Go Technique for Quilting. 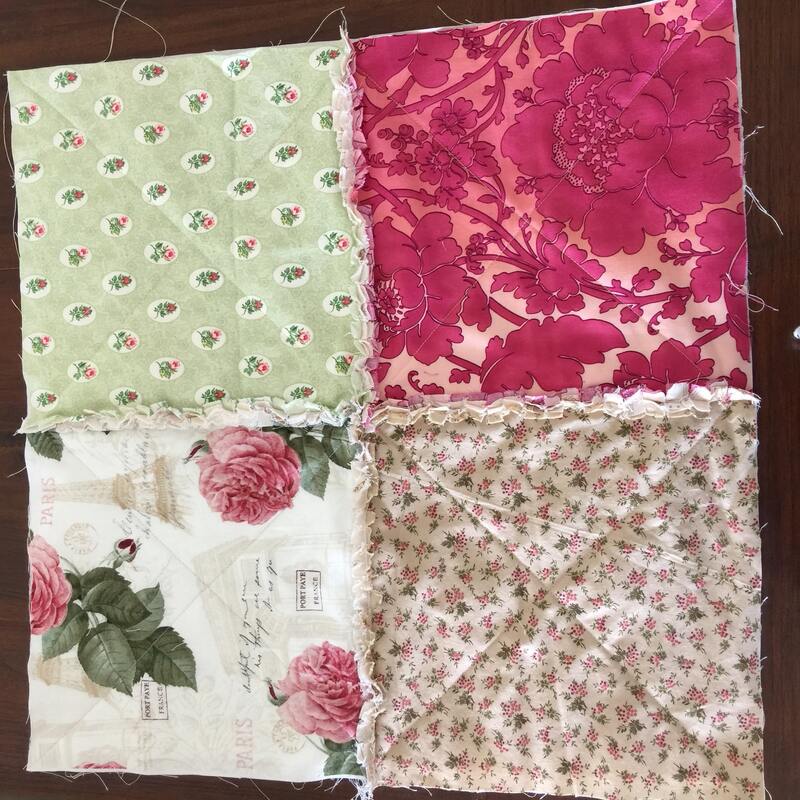 When I was making my most recent Rag quilt, a few weeks ago, I had been very keen to try Jo Cline’s Butter Knife Technique. Due to my haste of wanting to try the technique, I could not wait until I had finished the whole quilt. Well you have heard of Quilt As You Go, I’ve come up with Clip As You Go! 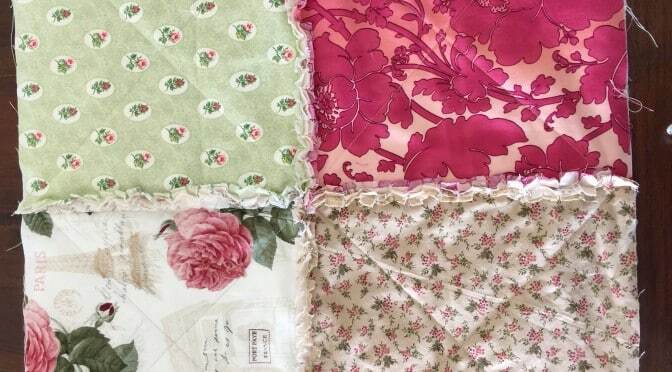 I understand there are many reasons why people make rag quilts. It can be difficult to handle a big quilt in the conventional sense, and become physically impossible to do, where as Rag Quilting opens new doors. 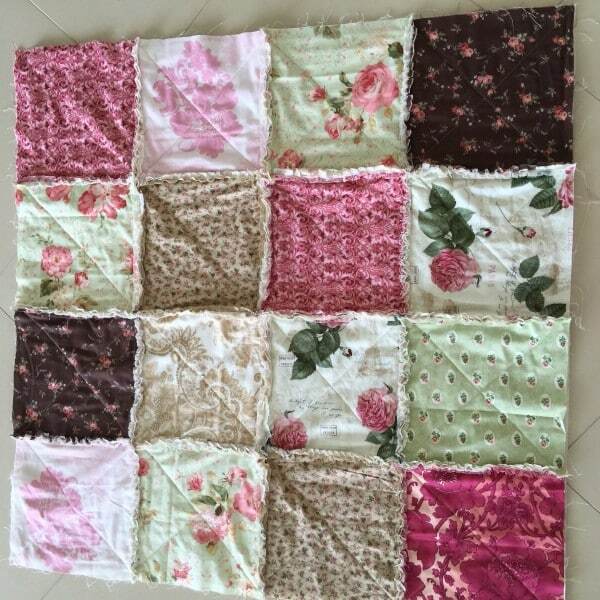 Rag quilting can also offer a speedy solution to quilt making and offers a beautiful three dimensional technique. One thing I have found difficult with Rag Quilting is clipping all the seams at the end of the project. I found my hands became very tired and achy. Any how getting back to the butter knifing, because I was so keen to try the technique I couldn’t wait until the end so this is what I did. As I finished each section or four patch, I clipped the seams. I had a big clean bench area ready, with the knife an a rubbish bag. I rubbed over the seams and disposed of the excess lint, then went onto the next part. As each piece was finished sewing, I clipped the seams, butter knifed and disposed of the lint, I found there was no pain in my hands as I only worked on one section at a time. By the time the whole quilt was put together I only had to clip the outside border of the quilt and I was done! Ready for washing. This technique makes Rag Quilting much easier I believe. If you find all the clipping at the end is hard going -then this technique is for you too! The only caution I would have is to make absolutely sure your layout is correct before snipping. I Don’t know anything about using a butter knife. Why and how do you use it? After clipping the rag seams, use the knife to rub along the seams. It will aid the ragging process. I have a small rubbish bag standing by to dispose of the lint. I have also been doing this. I have osteo arthritis in my hands and need joint replacement in right thumb so clipping and knifing are painful for me. I do it a row at a time tho which is more work at one time than your 4 SAS. I may try doing less at a time from now on. Thanks for the help, and Jo too for her technique.